If you want to lose weight or maintain a healthy weight and lifestyle, then you must take regular exercise. The problem with exercise is, the majority of people tend to struggle to maintain it over a long period of time. This can be down to a lack of motivation or just plain boredom. If your exercise routine does not challenge you or is not intense enough to give you the results you want, then you are far more likely to quit. The key is to vary your exercise routine and keep it fresh and challenging. Running hill repeats is really tough, but can be a very rewarding exercise routine with numerous benefits. The Benefits Of Hill Running Does anybody really enjoy running up hills? The truth is that it can be hard, but when was anything in life worth doing easy? When it comes to exercise, the results you experience are in direct proportion to the effort you put in. Here are some reasons why hill running is a great way to workout and achieve your fitness and weight loss goals. 1. A Great Way To Build Muscle Strength Running up hills is tough, this is because it is a resistance workout that works against the muscles. Running up hills will strengthen more muscle groups than regular running on the flat, as your body fights against the incline. Your quads, glutes, hamstrings and calves will get stronger as well as firming up your thighs and buttocks. 2. It Is Inspirational And Character Building There is something inspiring about battling against and conquering nature and the elements,taking on a steep slope and powering up it. Have you seen Rocky 1V when Rocky climbs up the mountain? It is a great feeling to get to the top and know that you have given your all. its a great way to build character. 3. It Delivers An Intense And Challenging Workout If your aim is to burn calories and lose weight, then doing repeat hill runs will certainly help you do that. You must maintain a good pace all the way up the hill and good running form. You will have the opportunity to recover when you jog or walk back down, before giving it another go. As you get fitter you can do more repeats or look for steeper and longer hills (as long as you can keep good form). You could always combine some hill running with your regular jog to add a little edge. 4. 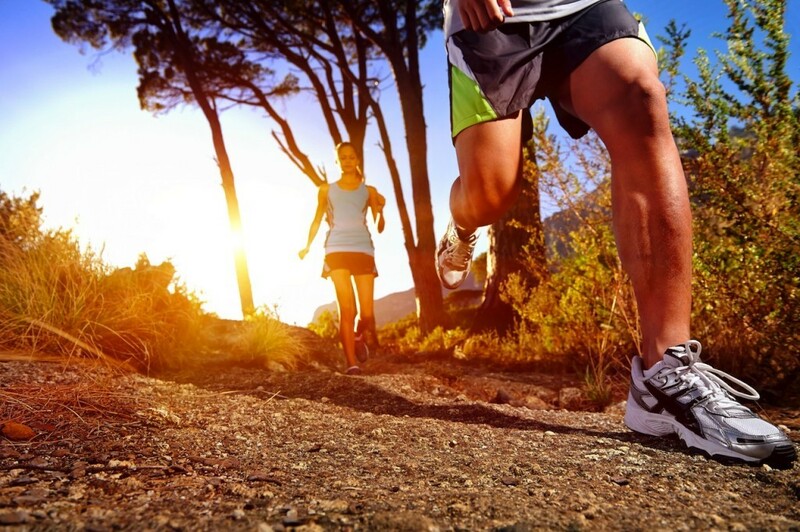 Enjoy Less Injuries Running up hills builds up your leg muscles, making injuries less likely. You will also gain more upper body strength as you need to use your arms more than regular running to power up those hills. Now that you are aware of some of the benefits of hill running, why not have a go at running up a few slopes as part of your exercise regime?